I’m reading the title and thinking the same thing as well, however, if you have been on my website before, you know I don’t work like that. I don’t push BS $100+ courses that only make others rich, I don’t want your e-mail and I don’t plaster this website with scammy offers. I created this website to actually help people make money in an honest way. Some people think fast is in as little as 10 minutes, while others may think a week is fast enough. Regardless, most of these options can help build your $1,000 fund, all without a full-time job pretty fast, but it will take time on your part and you may need to combine a few of these strategies to reach your goal. It won’t take 10 minutes. And it will take some effort on your part. Okay, enough with the babbling. I think you get the point. Onto the main point, making $1,000 FAST. I recommend helping out research companies so much on this blog, and it’s for a very good reason. For one, you can start right now as all it takes on your part is your time. Just fill out the sign-up form, complete your profile and start taking the surveys. Now, there are a TON of research companies out there but don’t worry about doing the research as I already did it in my 80+ best survey companies guide, for example. Check out this list and sign up with the ones that are of interest. And if you don’t want to read my guide, that’s fine, too! You’re not going to get rich doing surveys, but if you sign up for as many as you can and start taking surveys, I can’t see why you couldn’t earn $50 to $100+ in less than a week. That one survey for 4,500 SB would net me $45 in rewards if I qualified. AND, this is just one of the many panels, so I encourage you to check these out and see which one works the best for your demographic. Of course, adding up all of these survey websites will not equal $1,000, but the goal of this guide is to combine a bunch of tasks to hopefully reach your $1,000 goal. Personally, I have been driving with Uber and Doordash for quite some time, and while I liked driving passengers around, I found a love for driving around the food since it doesn’t talk and I can listen to what I please as I cruise around town. However, it’s really up to you as to what you prefer, since we all have different likes and dislikes, of course. Now, as long as you have a car, a good driving record, and a clean background check, then you could qualify for a variety of these job opportunities I’m about to list here. And depending on where you live and what you do, it’s not too hard to make $15 to more than $25+ an hour gross, sometimes even more during peak times. For instance, when I would do Doordash, I could easily gross $20 an hour when I worked the dinner shift from 5-9 p.m. The money is there, but you just need to learn how your market works, so don’t get discouraged if you’re not making what you thought you would make in the first day. This can be said with all platforms as certain areas are busier than others during certain times of the day. As long as you have a love for driving and don’t mind getting out of the house, this is a tough gig to beat. You should expect at least $10+ per hour before expenses, but it could really turn into a very nice side hustle if you learn how your local market works. Work the peak hours and $20+ an hour is easily attainable. Don’t like the idea of an app? Talk with a local pizza joint as they are almost always looking for drivers or even a florist to deliver flowers to customers. The TaskRabbit app, working just like the apps mentioned prior, allows you to work whenever you want and choose the jobs you want to work. And if you’re unfamiliar with the app, it’s basically a place where you can sign up and help perform a variety of tasks for people in your area. This can include picking up items at a store to assembling furniture. It can be anything that requires help. Again, you get to turn on the app and choose what you want to do and make, so if you don’t like the idea of moving a couch, you don’t have to. The app isn’t available in all cities, but if it is available in yours, you could be up and running in as little as a few days, making it a great way to start making money fast as long as you don’t mind helping strangers on the app. If you like the idea of TaskRabbit, there are two other apps I recommend as well, but they do not seem as busy as TaskRabbit — neeto.com and CollegeLabor.org. If you don’t want to wait a few days to get approved for driving or you think surveys won’t be enough (it probably won’t be), then the next best thing are the gigs frequently listed on Craigslist. You can find this section beneath the “gigs” section in the lower right hand corner on your desktop. And depending on where you live, there are a lot of gigs posted daily, most of which are temporary jobs that people need help with right now. 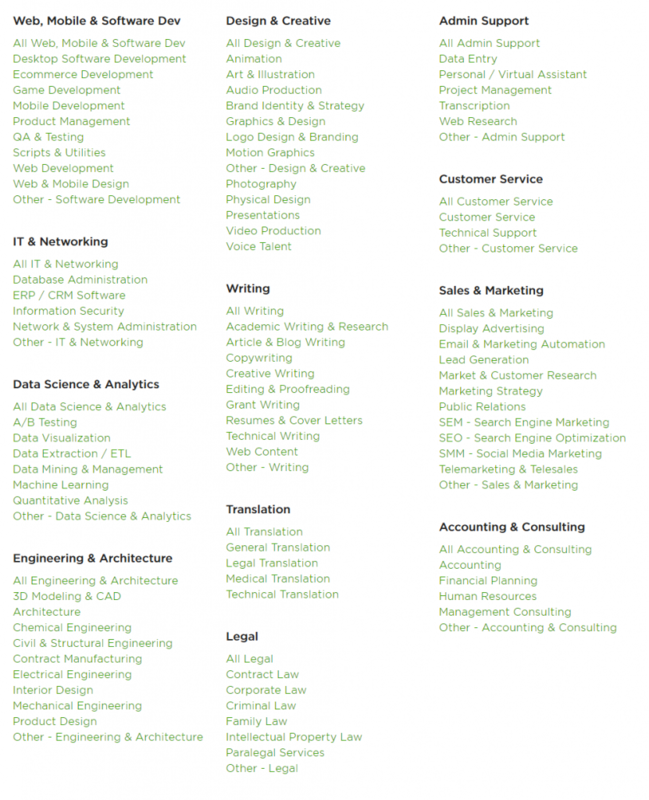 All of these jobs will greatly vary depending on where you live, but it doesn’t hurt to check out the ads to see if any are of interest. Just remember that Craigslist is also bombarded with spam and sometimes weirdness, so just be careful who you contact when inquiring about a job. If you’re a hard worker and find the right gig, there’s no reason can’t make more than $100 for the day. While Indeed focuses a lot on your typical part-time and full-time positions, you can find daily gigs if you use the right keywords. For example, if you search for “gigs” or “make your own schedule,” you may be able to find some short-term or even long-term gigs in your region that aren’t available elsewhere. In my area (Phoenix, AZ), I saw one app called Quik, where I could sign up and help with a job for the night, ranging from washing dishes to running food, but this app was only available in a few cities. A lot of these jobs will require you to apply for the job, of course, but in some circumstances, you could be approved in as little as a few days or even instantly in some casess. Lime and Bird, two of the most popular scooter companies in the United States, are always hiring chargers, which, just like the apps mentioned above, allow you to work whenever you want. With this app, you will be asked to log in, usually at night, and find all of the scooters in your area that need charging. Then, once you round them up, you will take them home and charge them in the garage with a charger the company provides you. Once charged, you will take the scooters back out on the road where the app tells you. Like delivering food, it’s really up to you how much you want to work, but plan on making about $5 to $10 per scooter charge minus the electricity it takes to charge them. Gather 10 at a time and that’s a cool $50 to $100~ for the night. To learn more, visit Bird.co or Li.me. Quite possibly one of my favorite options on this list, mTurk can earn you cash in as little as a few minutes. And if you’re not familiar as to how the platform works, I’ll explain it as a summary here. In short, requesters will use mTurk to post jobs, most of which are very short tasks that take less than five minutes to complete. This can include answering a question, analyzing a photo or even finding a phone number for a particular person or company. In exchange for the job, you will get paid a certain amount, usually anywhere from $0.01 to $0.25+ per task, all of which can add up very fast since many requesters upload thousands of jobs at a time. You can see how much you will make and you can preview the job ahead of time before you commit. Operated by Amazon, it’s a very reputable website and is an okay way to make money if you can only work from home right now. Expect to do a lot of tasks to make a few bucks, but it’s not unheard of people making $600+ a month if working at it part-time. To learn more about the system and how you can maximize your earnings, consider buying a few of these very low-cost guides on Amazon. Donating plasma is an awesome way to make money AND help someone in need. You could head to a plasma center right now and have cash in hand in as little as a few hours. If you’re not afraid of needles and don’t mind sitting in a waiting room for about an hour, a quick search online, such as “plasma center + your zip code” should show you where you can donate plasma in your area. You can also check out DonatingPlasma.org for more information. The U.S. Food and Drug Administration (FDA) allows two donations within a seven-day period, so if you maximize this opportunity, it’s an easy way to make close to $200 for the month. If you consider yourself a top-rated professional and are part of any of the categories found here, then Amazon encourages you to apply for their Amazon Home Services, a program that connects you with Amazon customers that need your help. Popular services range from house cleaners to assemblers, electricians and so much more. Basically, if it’s a service, it’s probably on there. And while there are requirements, such as carrying General Liability insurance and a license in some industries, it could be something to consider if you don’t want to chase leads. According to Amazon, the process is extremely simple. Your services will show up alongside related products and if an Amazon customer purchases your service, Amazon then sends you the job where you need to simply show up. If you’re already offering a service or even thinking about starting one, this could be a great starting point to tap into Amazon’s massive customer base. As a fair warning, these apps will not make you thousands. In fact, you will be lucky to make $25, but again, I’ll stress it a ton on this guide that I want to include the many ways you can make money right now. 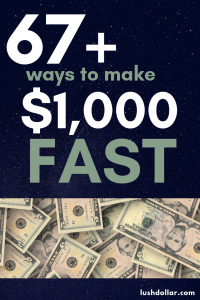 Add in a few of these strategies and you will be close to $1,000 in no time. Most of the apps I list below work in a similar way. Some require that you download an app and test it while another app may make you watch short video clips. Some do vary, but for the most part, they all work in a similar manner and pay a few pennies per task. Read the description ahead of time to see what you’re getting yourself into. If you have the free time, I wouldn’t say this is your best option to get rich fast, but hey, if there’s some downtime, why not have some fun and earn a few dollars while on your phone? I’ll stress it one more time. You won’t make much, but if you log in almost daily, I don’t see why you couldn’t make about $10 by the end of the week. Also, the ones I mentioned above are one of the many apps on the app store right now, so if you’re interested in more, a quick search, such as “make money” can yield hundreds of apps. Just make sure you look into the reviews before downloading to ensure that you’re working with a legitimate organization. While writing for your own blog can make you some money, it isn’t going to make money fast as it can take almost a year before you start seeing any cash from your posts. So, for now, I wanted to talk about a few options you can take advantage of right now if you want to make cash fast. If you think you can write, and no, you don’t have to be an English major nor do you have to have impeccable grammar, you can actually make some decent money in almost as little as 24 hours. Textbroker.com and iWriter.com, both of which are considered to be the entry-level companies in the space, for example, often approve accounts in as little as 24 hours, and once in, you can start working on projects that are posted. For example, I have worked with Textbroker.com in the past, and right now, as I’m writing this, there are 1,300 total projects available on my dashboard. If I were to type five projects, that’s $70 right there. Depending on your writing level, most writers on the two above-mentioned platfroms make $0.01+ per word to start, but again, consider this to be an entry-level position as there are so many other websites you can consider if you want to write on the side. Get good enough and clients can contact you for private work. If you want to make money now, I consider Textbroker and iWriter, but if you don’t mind hustling and/or applying to various writing gigs posted online, then I recommend checking out the list above as they can pay much more. Lastly, if you want to learn more about making money writing online, it can be done, but like anything, it’s an art to learn. For this reason, I do recommend you check out a few of these low-cost Udemy courses online to learn how you can become a better writer. These options take some time, but I can promise you that the money-making opportunities are endless if you learn how the system works. It’s a very patient game, but I can assure you it’s well worth the wait. Have room to spare in your home? If you do, consider renting it out to locals or even tourists for the time being using the Airbnb website or even posting an ad on Craigslist. Other options to consider include VRBO and HomeAway. This option won’t require much work on your part, with the exception of preparing and cleaning up the room before and after the guests leave. You will also have to manage your bookings, but this part just takes a few emails back and forth to confirm the details. Renting just a room on Airbnb could easily net you $50+ a night in a lot of cities, easily making you $1,000 or so in less than a month. It can even be more during a popular event. By far one of the easiest ways to snag cash fast, it’s one to consider if you don’t mind hosting strangers in your home. Renting to 20 people in a month can get tiring, I know, but if you have the room in your house and don’t mind someone living there long term, consider a roommate. Roommates are a great way to bring in $300+ a month and really won’t affect your living arrangements, with the exception of seeing them inside of the kitchen every once in a while. Target a retiree who’s quiet or a college student and you may never even know they are there. And if you just need the money for a few months, consider a short-term lease. If you have a car and you’re not using it as much as you’d like, did you know that you can rent it out to the public, just like the major rental car companies? Now, before you get scared and think to yourself that you don’t want to rent your beloved car out to a stranger, let me explain the process first. First of all, the biggest peer-to-peer rental company online, Turo, offers a $1 million liability policy, contractually protecting your car from physical damage and theft. I would start with this company as they seem to have the largest customer base and a great reputation. GetAround.com is a similar website as well and seems just as good. Secondly, you’re in control. You get to decide the price, the mileage limit and renters must return your car with a full tank of gas or else you can charge them. If you don’t like the person contacting you, then you don’t have to do business with them. And lastly, as for the renters, it may be scary to think they are going to beat up your car since it’s a rental car, however, since they are renting from an individual rather than a corporation, I truly believe the renters will have a different mindset. Just think of it for a second. If you were going to rent a car from me and we meet face-to-face, would you hot rod my car and destroy the interior? Probably not. You probably feel a connection instead of having a corporate mindset. Depending on the car you put up for rent, listings generally start at $20 a day and increase from there, with Turo letting you keep 65 to 85% of the list price, and you do decide to list your car, your listing can be active in as little as 24 to 48 hours. To know how much you can make, refer to the calculator on their website and learn more about the process in depth. As one of the easiest ways to make money on this list, meet in person and hand over the keys. That’s it. Aside from renting out your home or your car, you can also rent out items you have at home, whether it’s your bike, an instrument, furniture, lawn mower or low mower. If you think someone wants to borrow it, then there’s probably willing to pay for it. If you have an item lying around that you can afford to give up for a few days or even weeks, then consider creating a post on either Skipti.com or Zilok.com, two of the largest platforms online that let you rent just about anything. Depending on what you want to rent out, you could make anywhere from $20 to $100+ a day, and it’s as easy as it sounds — list it, meet up and hand off your goods. I would only consider this option if you meet two of the criteria I listed below. One, you need to own the garage. This is a given, at least I think. And secondly, it needs to be clean enough where someone can actually store items inside of it, just like it a storage unit up the road would. Remember, they want your garage as a storage unit, so it’s unfair to only offer 20% of your garage. Now, you don’t need to know someone who wants to rent out your garage for storage since, you guessed it, there’s an app that can help you with that website called StoreAtMyHouse. Create a listing, describe what you have to offer and see if anyone is interested in renting. And as long as your rates are cheaper than a local storage unit company, I don’t see why you wouldn’t at least get a few inquiries. Aside from posting on StoreAtMyHouse, also consider posting on the Facebook Marketplace and Craigslist, too. I know, it could be hard to find a family who needs a babysitter right now, but if you ask around or even sign up for Care.com to look for a job, you could have a job in as little as a few days as long as you’re trustworthy, of course. From watching a few children throughout the week full time or a random Saturday night part time, this job can be quite flexible and pay you almost instantly in cash. Again, you’re not going to make a $1,000 fast babysitting, but I want to try to include as many ideas as possible in hopes that you can reach $1,000 in the next few weeks. Much like babysitting, pet sitting works in the same way, but in most cases, you won’t have to dedicate your entire day while doing it. Instead, you can step in for a few minutes and just make sure the pets are well taken care of, from taking them outside to go to the bathroom to making sure their water bowl is clean. At first, finding somebody to help can be a challenge, but there are a lot of great platforms you can consider, such as Care.com, Rover.com and PetSit.com, that can connect you with locals who may need your help. You can also post an ad on Craigslist or even a local Facebook group to see if anyone is interested. Once you’re able to find someone, plan on making at least $20+ per visit, with multiple visits needed in some cases if the owner is away for a few days. Kind of like pet sitting, I figured I would add this as its own section since many dog owners often need somebody to walk their dog. And again, you don’t necessarily need to know someone who has a dog as there are some great resources online that can connect you with some locals such as Care.com and even a popular app called Wag. For most walks, plan on charging at least $15, but you could earn more if they have more than one dog or need frequent walks throughout the week. While this is a part- or full-time job, per se, it’s a fantastic opportunity for anyone who doesn’t mind working late at night as well as on the weekends. You don’t have to turn it into a career; rather, think of it as a way to stockpile cash to pay down debts or aggressively save. Sometimes netting as much as $300+ in a night just in tips, serving and bartending jobs are always active, no matter where you live, and to find them, I would encourage you to check out Indeed or even ask a few of your higher-end restaurants in the area to see if they are hiring. Can you mow lawns right now? If the weather is right and the grass is growing, grab your lawn mower and start asking neighbors if they need their lawns cut. Even if you don’t have neighbors nearby, again, take advantage of the Internet today by posting free ads on Facebook and even Craigslist to garner any interest. People always need their grass cut and many are willing to pay. Requiring just your time and some gas, cutting lawns can easily net you $25 to $50+ per yard, depending on the size. Keep coming back weekly and the money will continue to flow. Snow on the ground instead? Grab your snow shovel and start talking with neighbors as you’d be amazed at how many people will throw you $20 instead of doing it themselves. While this money train won’t last all year, take advantage of the opportunity while there’s snow on the ground to make a few bucks in the time being. Walk around the neighborhood and start handing out flyers, letting neighbors know that you’re willing to help with projects around the home. And no, you don’t have to be insured to do a lot of the smaller jobs nor do you have to have much in experience. Some homeowners may need some leaves cleared while another homeowner may need help cleaning out gutters. There are so many jobs that someone may have for you. Regardless, you may be surprised at how many neighbors are willing to pay you $15+ an hour to perform some odds and end jobs. Hand out 50 flyers and I’m sure at least one person will have a job for you. Do you have a truck or even a trailer? Consider offering your services to help pick up larger items or even hauling stuff to the dump. Most of these jobs can often be found in the gigs section on Craigslist if you want to apply for a job, as mentioned earlier in this guide, but you could also advertise your services on Facebook as well in case someone is looking for someone like you. Start looking around your home and gather up the items you no longer need. I know there’s SOMETHING. This can include books, electronics, clothes and whatever else you think has some sort of value. I can assure you that you may be surprised as to what has value, so at least set it aside for now so that you can further research it later. And depending on what you want to sell, you DON’T even have to deal with the public if you do decide to dump some of your goods as some companies, such as Decluttr, will offer you an instant quote and send you money in a matter of days once they confirm your shipment. You won’t make as much if you decide to go this route, but it could save you some major headaches. But, if you want to maximize your profits, which I highly recommend you do, then it’s really going to depend on what you’re going to sell. For example, if you’re going to sell clothes, check out these 22+ apps you could sell on to make the most money, or if you wanted to sell books, you could consider some of the many resources I recommended in my 550+ ways to make money guide. In these cases, there are a lot of awesome book buyback companies, including Amazon, that will also offer you an instant quote for your books. If you want to make it easy, though, you can can’t go wrong with listing on eBay, Amazon, Craigslist or even your local Facebook Marketplace. Also, don’t forget the popular apps such as Letgo and OfferUp. Or, if you have time to spare, consider a garage sale in the next week or so. This kind of goes hand in hand with selling your stuff, I know, but you have to realize that there’s a lot of money to be made in books, especially textbooks. And if you have any books lying around the house, I highly recommend you check out the following websites as most of them will give you an instant quote, saving you the time from dealing with the public. Almost all of these websites work in the same way. Enter your ISBN, look at the quote, and if it’s good enough, you can accept it and ship it into the company for your payment. In doing so, though, just make sure you compare at least 5-10 companies to see who’s going to offer you the best buyback rate to ensure you’re getting the most for your money. Similar to the research companies I mentioned above, focus groups work in a similar way, but you will often need to show up in person to participate and be a candidate. For example, one study may want 25-35-year-old technology users while another study may want somebody with diabetes. Be sure to read the focus group description ahead of time to see if you qualify. Paying much more than these surveys, sometimes up to $150+ per study, I can’t guarantee you will find a job today, but if you sign up for the largest focus groups, which I will list below, you could be making money in as little as a few days. I wrote about these companies in my very popular $100 per survey guide, but I will include some of my favorites below as well. To see a full list, refer to that $100 survey guide. The name sounds scammy, but I promise it’s not. Again, sign up for as many of these focus groups as possible and start researching some of the studies to see if you can take advantage of the offer. A great way to earn a lot of money relies in the medical field, where you can help medical professionals answer questions or even test new medications. Yes, there are some risks involved with some studies, however, you will know exactly what you’re getting yourself into before you even apply. And if you’re afraid of testing drugs, that’s fine, I would be, too! Do know that some studies only require a simple medical exam to study a condition you have or even an herbal supplement which may cause no harm at all. Some last the entire year and consistently pay. Honestly, there are so many types of medical studies, some paying as much as $1,000+, but if you’re interested, check out ClinicalTrials.gov to see what’s available in your area. On the website, be sure to use the filters to find exactly what you’re looking for. Mystery shopping is an awesome way to work when you want and choose the jobs you want, a lot like the apps I have been listing here. And if you’re unfamiliar with mystery shopping, it basically entails visiting retail stores, restaurants, and just about anywhere you can visit as a customer. It will then be up to you to follow your report directions and usually grade the location, take mental notes while inside (you’re undercover after all) and write up a small report, answering specific questions when done. Jobs usually pay anywhere from $10 to $50+, with free meals and even hotel stays thrown in, but it greatly depends on the company you’re working with the job you accept. Get good enough at it and you could perform two to five jobs a day, making it really add up. Be forewarned, however, that there are a lot of scams in this industry, so always make sure you know who you’re working with. To make things easier, I will note some of my favorites below, but there are more out there if you want to consider additional services as well. Unfortunately, you won’t be able to start mystery shopping right away since these companies usually have to approve you, but in some cases, you could be active in as early as 24-48 hours if you’re lucky. To learn more about this industry and how to maximize your earnings, I do recommend the Mystery Shopper’s Manual written by Cathy Stucker. She does a much better job explaining the industry as she has trained more than 10,000 people and has a lot of experience working with the companies I noted above. Another option that won’t make you rich, but it could add a few extra dollars to your wallet. If you like taking pictures or even have a library on your computer that you don’t mind sharing, there are a variety of platforms online where you can list your photos and get paid when someone purchases them. If considering, just make sure you read the fine print closely as some platforms will not allow you to sell your photos elsewhere, so be careful. You won’t get rich doing this at all, but it can be a fun way to expose your work and make a few dollars in doing so. 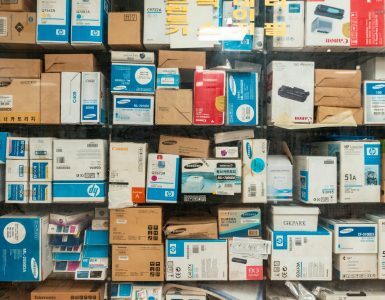 The art of flipping items can take some time to learn, but there is a market here if you want to visit a few stores in your area to find items that you can turn around for a profit. And if you’re unfamiliar with “flipping,” let me quickly explain how it works. In short, your goal is to find an item, whether it’s at Goodwill, a garage sale or even a retailer, that you can buy for much less than what you can sell it for online on eBay or Amazon. For example, let’s say I found a book at Goodwill for $2 and it sells for $14 on Amazon. As you can see, I could make a profit, even after Amazon takes the selling fees. There are a lot of tools out there that you can use to help you find these items, but honestly, I could write on and on about flipping. I will save that for another day. In the meantime, I do recommend you check out this Udemy course and/or this fantastic book I read in the past titled, Fast Cash: Flipping Used Items, written by Eric Michael. It teaches you everything you need to know to start taking action NOW. You can start flipping as early as NOW, but of course, you need to know what you’re doing before you start. Before you get too excited, I encourage you to at least sit down and read a few resources before testing the market. I want to see you make money, not lose it, of course! Many of the websites you visit today are constantly tweaking and testing things and often need people like you to test things out and offer your feedback. Compensated for your time, of course, the following websites will send you job requests, in which you can sign up for and make about $10~ per test. It’s not much, but all of these jobs add up, I promise you. All of these websites work in a different way, but for some, you will be asked to have at least have a microphone and webcam so that the service can listen to your thoughts aloud when you’re testing. The websites will usually tell you what’s expected of you before you even start. Once you activate your account, you could be testing in as little as 24 hours, so make sure you sign up for as many as possible to maximize your job opportunities. Find kids and adults who need your help, whether it’s online or in person. And no, you don’t just have to consider tutoring in a school subject as you could consider helping with hobbies, music and so much more. Just think of something you’re good at and offer your advice for the time being. If you like the idea of tutoring online, there are a wide variety of companies to consider, but some do have restrictions, such as needing a college degree and/or a certain number of years in experience. It can take you a few days or even weeks to get approved if you’re qualified, but if you want to earn money faster, I would recommend advertising your services on Craigslist or even Facebook for quicker results. Think of a skill that you may be valuable to someone online that you think can sell. Now, becoming a freelancer online can be done, but I can’t promise you that you can make money as early as today since you’re going to have to hustle, bid on jobs and do good work to get paid. 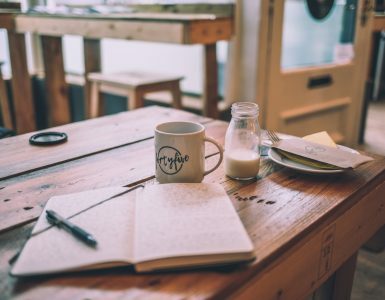 From the popular freelancing website, Fiverr, to Upwork.com, there are a range of fantastic platforms that can earn you money, but again, it’s going to take some work. As freelancing can be a whole another post or book for that matter, I recommend you check out these highly rated books on Amazon to learn more about the industry. It can take some time to learn, but once you find enough clients, it could bring in a decent amount of money. I wrote about this position in depth in my how to become a virtual assistant guide, but I wanted to include it here as it’s an awesome way to make some cash online. And if you have never heard of the term before, you’re basically going to be an assistant to someone online instead of inside an office. Performing a variety of tasks ranging from answering emails to data entry, your options are endless and could pay upwards of $20+ an hour if you find the right work. I won’t lie, it can be a challenge, but if you find a good job, it can be well worth it. Now, you won’t make money right away since you will have to apply for the job, but if you’re hard working and can show up on time, it’s not going to be hard to find something. Be sure to follow my guide to learn more about ways to become one. The Gigwalk app can earn you a little spending money or even a weekly paycheck, all while working a flexible schedule. To use the app, the company first asks that you download and register on the app, all of which takes a few minutes to do and is 100% free. Then, once you’re activated and link your PayPal account, you can then view the “Gigs” in your area that needs to completed at this moment. Just click on the icon on the map where it’s located, read the description, check out the payout, and if you like what you see, accept the job and perform the gig for the cash. These jobs can include auditing a pallet, taking pictures or inspecting an area. It’s a lot like mystery shopping but more on demand. In some areas, the app can provide quite a bit of jobs whereas your more rural areas may have nothing available, so your results will vary. Regardless, it is free to download, so why not sign up and at least see what’s available? Yet another app, the Shopkick app, will earn you money fast doing almost nothing while you’re out and about. From simply walking into a store to finding a particular item and scanning the barcode, the Shopkick app will pay you with what’s known as “kicks.” Once you earn enough, you can then cash out for a variety of rewards, including gift cards. I downloaded the app before and was quite impressed with the number of gigs available in my area. In my opinion, if you played around with it while out and about, it wouldn’t be too hard to make $5 to $10 for the day. Highly rated on the app stores, it’s free to download and can earn you points in as little as a few minutes. Touching on the freelancing idea already mentioned, selling on Fiverr alone can be just as good since you can start right now and could make money as early as the end of the week. That’s why I wanted to include it as its own section. Known as a micro-selling website that sells for at least $5, you can offer a service on just about anything, granted it’s legal, and no, you don’t have to sell your services for $5, either. As a competitive space, there’s a lot to learn, but if you have the time, I do recommend the very popular affordable book, The Fiverr Master Class, a publication that teaches you the secrets of all the power sellers. Reading this should hopefully get you a jump start to succeed on the marketplace. In the meantime, think of a service you could offer or even browse the most popular gigs on the platform to see if you can compete. Fiverr definitely has the buyers. It’s up to you to snag some. Are you the creative type who can create a unique product that may sell online? Thankfully, you no longer have to worry about setting up a booth at a local arts and crafts fair and pay the fees to sell. Instead, you can use the popular platform, Etsy, a handmade online market place, to market your goods and sell from the comfort of your own home. As long as your items are unique and you think it could potentially sell, consider testing it out right now to see if you get any bites. Like Fiverr, though, it’s a market to learn and could take a while before you see a ton of money, but you could get a few orders in the next week or so to help pad your fund, you never know! To learn more about the market, I have heard great things about this book and these low-cost online video courses. Think about the many ways you could entertain people for the time being using your special talents. This could include dressing up as a character and walking the busy streets of New York or even playing an acoustic guitar at a local bar for a few bucks. Of course, this method will take a pinch of hustling, but who says the money will come easy? It also will require a busy area if you want to increase your odds of maximizing your hourly rate. As long as you stand out from the crowd and you’re entertaining, it is possible to make $50+ for the night as long as you target a busy area. If you have a bachelor’s degree and don’t mind teaching children overseas, most likely China, then this is a fantastic way to earn up to $25+ an hour. Now, it can take up to a week or so to get approved in the system, that’s if they even accept you, but once you’re in, you can open up slots and start teaching students almost immediately. Generally, you will need to be fluent in English and have a bachelor’s degree, but each of these companies does have its own criteria as to who they will and won’t consider. Again, it can take a few weeks to get approved, but one in, there’s no reason you can’t earn more than $500 for the week if you work aggressively. It sounds kind of creepy, but did you know that there are people out there who may want to rent you as a friend for the day? From watching a movie to maybe shopping at the mall, the popular website, RentAFriend, allows you to create a listing and see if anyone in your area wants to rent you for the afternoon. If you like the idea of providing companionship just as a friend only, then consider checking out the website and creating your ad. Here, you get to set the rate and choose the people you want to mingle with. Credit card bonuses are always being promoted, and in some cases, you could make up to $1,000+ in bonuses just for signing up for the card and making the minimum spend, sometimes as little as a few dollars. While credit cards do have a stigma associated with them, it’s important to know that you can take full advantage of these cards as long as you pay them off in full every month on time. If you’re disciplined and don’t pay any interest, then credit card bonuses and rewards will be the easiest money you will ever make. 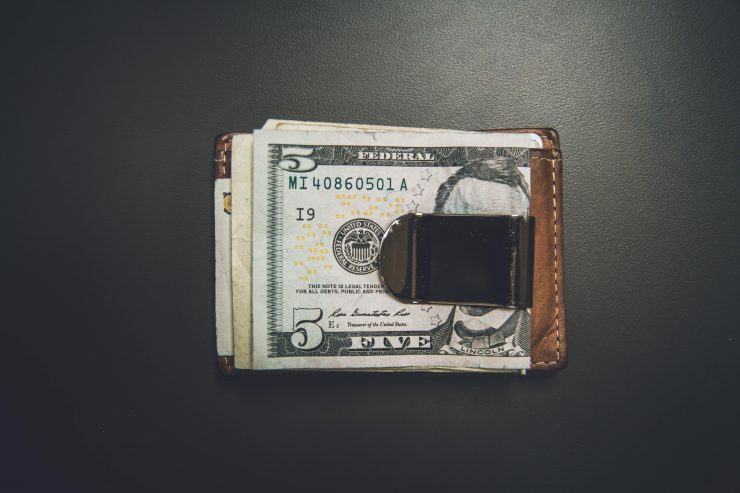 To take advantage of bonuses, yes, you will need a good credit score and you will need to spend money in some cases, but if you’re going to spend money on everyday items, why not get bonuses on top of it? From hundreds of dollars to free hotel stays, the bonuses always change, so for now, I recommend you check out this spreadsheet that’s updated almost daily for the best offers as of right now. Spend X and the credit card company will give you X. There are a lot of deals, both good and bad, so, please, do your research before applying to ensure it’s a great deal. This one isn’t guaranteed, but you could at least check the official unclaimed money database in your state and see if you’re entitled to any money that is owed to you. It could be anything from a former apartment deposit, bank account or something else money related. While the chances are slim, it doesn’t hurt to check. It takes less than 30 seconds, I promise. Dumpster diving can be a gold mine if you know where to look, what time to look and you don’t mind getting your hands dirty. 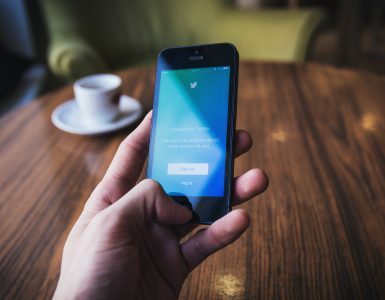 Now, as far as legalities go, there’s a lot of information online, with most saying it’s legal as long as you’re not conducting criminal behavior or the area is clearly marked private. Do this at your own risk, though. I’m just providing ideas! And yes, people can make money doing it. For instance, Matt Malone is a professional dumpster diver making close to $250,000 a year. And another, the Dumpster Haulics channel on YouTube, also talks about their many thousand dollar hauls they found. From exploring trash people set out on garbage day to a dumpster near a retailer, check it out one day to see if you can find some items to flip. If so, ask your boss if any additional hours are available, granted you like working at your job. Work more than 40 hours for a week and you could see overtime pay. Worst thing they say is no, right? And as my last point, I encourage you to check out the bills you’re paying right now to see if you can cut any out of your budget or even reduce them. Hey, if you save $100, it’s $100 less you have to make. Write down every bill you get for the month and see if any of the above-mentioned tips can help shave at least a few dollars off your monthly budget. I know there’s SOMETHING you can reduce right now. 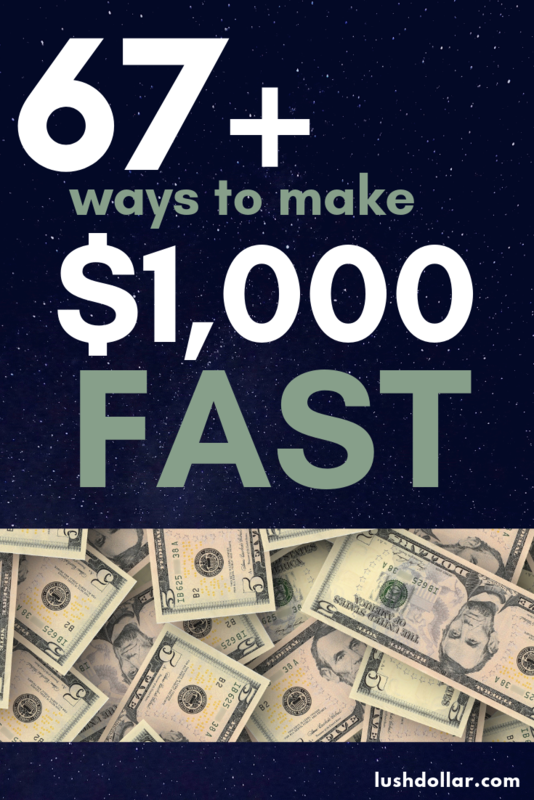 There a TON of ways to make $1,000 in your spare time, but as you can see, it’s going to take some hustle on your part and it’s up to you to create a plan that makes you $1,000 fast. It’s not going to come fast nor is it going to be easy. Hey, if it was, we would all have $1,000 right now, rich? For now, pick and choose your favorites and create a gameplan. It could turn into a great part-time or even full-time gig if you like it and you’re good enough. In the meantime, let me know how you make money fast and/or if you tested out some of the strategies above.